Introducing the Flipback: Excellent pocket-size edition of Stephen King's all-time classic - a must for both collectors and newcomers alike. I'm a huge Stephen King fan. I've got every single one of his books. Some, I have in multiple editions. This is one of those. I wanted to sample the new Flipback books from Hachette, and was lucky enough to get a copy of this awesome book. Paul Sheldon is the popular author of the Misery Chastain books, featuring a character he has a love/hate relationship with. So, after he finishes her off--literally--he's spent some time writing a new novel. Something fresh and different. A story he's looking forward to sharing with the world, so he can leave the characters of Misery behind. However, on his way home, he gets caught up in a bad storm, loses control of the car, and winds up in a ditch. Lucky for him, he wakes up in the 'safety' of a house. 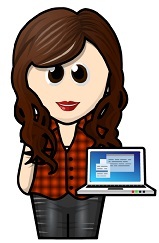 Annie Wilkes happens to be a nurse and rescued him from the wrecked car. She's taking care of him. Oh, and she also happens to be his "number-one" fan. She loves the Misery books. But when she reads the latest one, she's not satisfied with the ending and demands Paul write her a special installment of Misery. One that brings the character back to life. As Paul struggles to bring back to life a character he was happy to say goodbye to, he finds his own life being threatened at every turn. Because Annie's not well. She's unstable, cruel, and truly psychotic. Not only does he find himself writing a novel that doesn't cheat and satisfies Annie, but he becomes the tortured, immobile captive of a psycho who slowly starts to cut into him. And I don't mean just his sanity and endurance, either. This is the first Flipback I've ever read, so it was quite an experience. This book is compact--actually, it fits in the palm of your hand, and in your pocket--so you can take it anywhere with you. It's cute and very well made. I also love that cover! The writing inside is clear and easy to read. It has sideways-printed text, which means you read the book the opposite way you would a paperback or hardback. Also, it reminded me of the small Bible I got from scripture class when I was a kid. Which is not a surprise, since they were invented in Holland by a Bible publisher. Personally, I started out feeling a little skeptical about this format... but I have to admit that I really liked it. I love books, no matter what the format, and as long as the story I'm reading captivates me, I'm all for every type of format. And this one is a pretty cool and unique one. 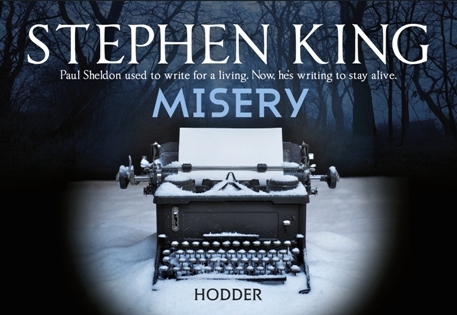 Misery is another page-turning, horror-filled, amazing book by the artful Stephen King. Not only did it keep me on the edge of my seat because I couldn't wait to see what was going to happen next, but it made me cringe. It made me angry, sad, and even happy when Paul experienced even a little bit of hope. I became as haunted by Annie as he was, and kept expecting her to do something crazy to someone at every turn. Which she does. Many times. When I finished Misery, I was exhausted! I was glad to have finally gotten to the end of Paul's nightmare, but also felt sad because I didn't want the book to end. As uncomfortable as this book made me in many places, I truly loved it!